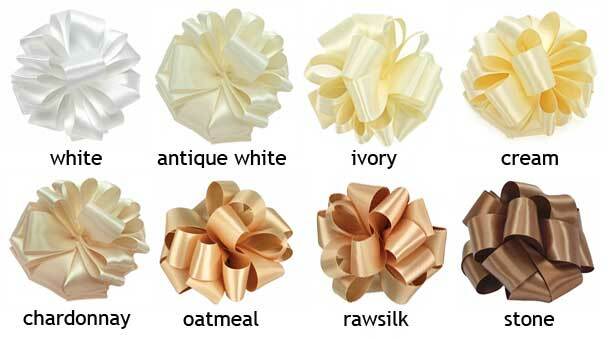 Double face satin ribbon is a classic ribbon product for gift wrapping, and decorating: product displays, wedding favors, apparel, florists, and gourmet foods. Colour options in varieties of white, black, and brown. Minimum order of $65 required. 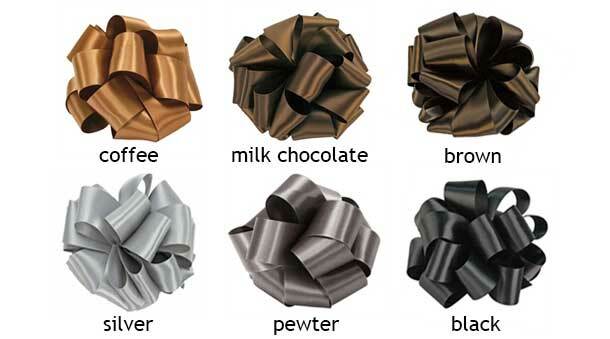 Can be a combination of any Satin ribbon, Grosgrain ribbon, or Speciality ribbon. Copyright Dunwoody Booth Packaging USA. All Rights Reserved.